Stephanie (aged 17) and Toula (aged 14) started their European campaign in the qualification rounds. This was their first competitive performance as part of the British Team and it’s fair to say that the girls got off to a flying start – quite literally! The Women’s Pair started with their dynamic routine - Dynamic work is all about amplitude, performing skills with great height, and the combination of Steph’s powerful pitching and Toula’s jump, meant that Toula certainly flew. Their total score, which takes into account execution, artistry and difficulty, was 27.460, with only the Ukranian Women’s Pair scoring higher (by 0.34). The following day, the Southampton gymnasts took to the floor to perform their balance routine - Balance work is all about strength, flexibility and stillness, and is a great test of the gymnast’s ability to remain calm under pressure and to be disciplined about focusing on technique. Steph and Toula held their nerve well and produced a very strong performance, cleanly executing their partner and individual skills. The beauty of their choreography and execution was rewarded with a total score of 27.05. At junior and senior level there are three finals for each discipline, a Balance Final, a Dynamic Final and an All-Around Final in which they perform their Combined routine. Their excellent performances resulted in them qualifying for both the Dynamic Final and the All-Around Final. In fact, with a total score of 54.51, they qualified in the All-Around competition in SECOND PLACE! On the day of the Dynamic final, to say, they nailed it would be an under-statement, their precision in execution was rightly rewarded with their highest execution score of their whole competition! Matching this with confidence and beauty (perhaps fierceness) in their dance, gave them a total score of 28.06. A score above 28 at this level and on this stage is an incredible achievement, giving Steph and Toula the SILVER MEDAL. In the All-Around Final Stephanie and Toula performed a single Combined routine and the score for this routine was added to their scores in the Balance and Dynamic qualifiers, to determine their overall placing. The girls matched technical excellence with entertaining and lively dance, achieving a score of 27.43. Their overall total of 81.94 placing them THIRD IN EUROPE! Stephanie and Toula are both dedicated and hardworking girls and we are so proud of their recent achievements; a silver medal in the dynamic finals and a bronze All-Round medal at the Acrobatic European Championships is a fantastic achievement for both the girls and our club. The girls have worked incredibly hard, demonstrating their commitment and dedication to the sport. Stephanie has recently taken her GCSEs and started college, whilst training for the Europeans, as well as competing in Budapest earlier in the month. Toula volunteers to support our disability class every Tuesday before her own training session begins. 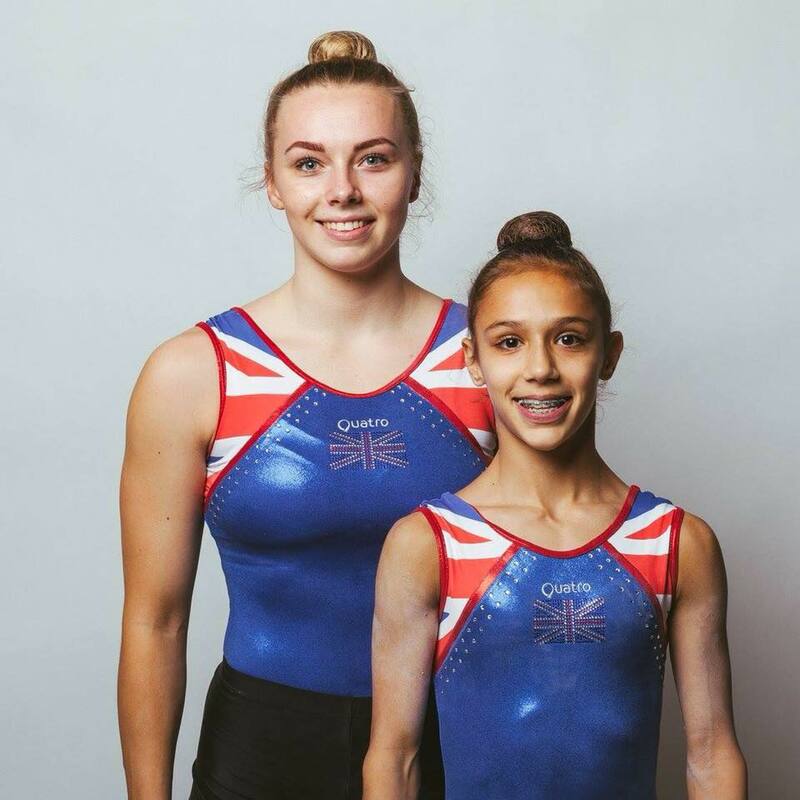 They are both great role models to the younger gymnasts within the club, supporting and inspiring others. We are very proud of them!